We supply multifunctional renders, dry dashing spars, decorative gravels and sand and gravel to the construction and landscaping industry. 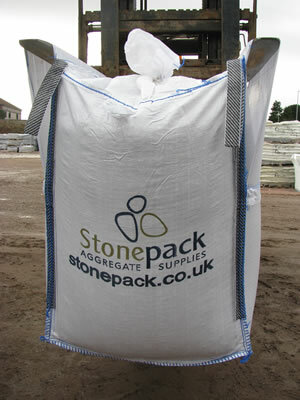 Stonepack supplies packaged aggregates and renders to the building trade. In the last year we have processed and sold over 200,000 tonnes from our sites in Forfar ,Angus and Broxburn in West Lothian. In the last decade the company has grown considerably and has invested heavily in some of the most advanced packaging equipment to be found in this industry. Not to mention running our own fleet of HGVs to keep our delivery schedule second to none. With three automated packaging lines we are able to process and package up to 12,000 25kg sacks in one shift. Stonepack also supplies Dry Dash Aggregates and in December 2009 our bespoke blending and washing plant was custom built abroad and assembled on site. This specially made piece of equipment enables Stonepack to be able to produce fantastic quality blends that are washed thoroughly. The final process before the material is packaged is to have the excess water shaken off the chips on the unique drying tray. All our harling products are packaged into either 25kg clear sealed sacks or large bulk bags that tie at the top. This helps to minimise contamination to the products and to keep them dry, which is essential as applying these products whilst too wet can affect the overall finish.